The monograph highlights the impress of Sanskrit writing on the life, chief principles and writings of two well known architects of the freedom struggle, karma yogis, Mahatma Gandhi and Subrahmanya Bharati. 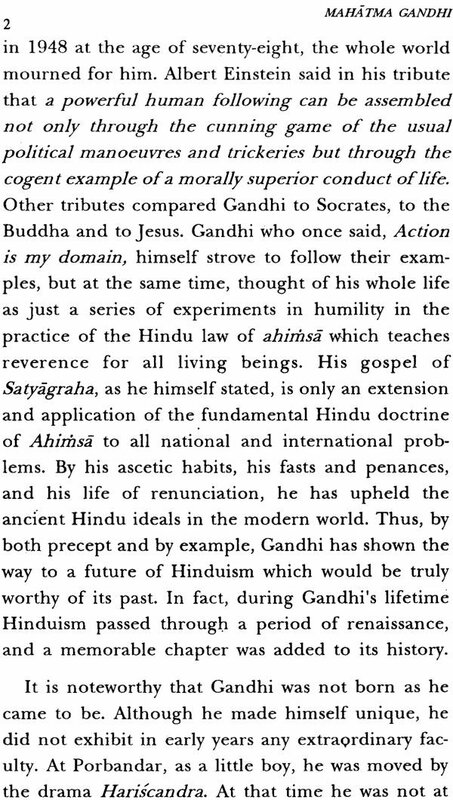 Besides the Gita, Gandhi was quite conversant with varied texts like the yoga Vasistha, some Advaitic classic like Pancikarana, Haribhadra Suri’s Sarvadarsana-Samucceya, Upanishads like Isa and Kena, Ramayana and Mahabharta. 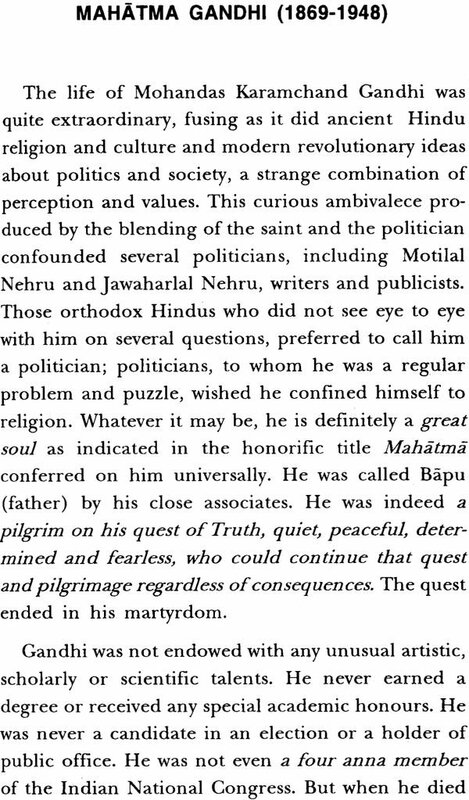 As a unique saint-politician, Gandhi was naturally a favourite for the 20th century Sanskrit writers. 27 major and minor poetic and prose compositions in Sanskrit and a Gandhi Gita on him are, for the first time, brought to the notice of the readers, with brief information about each of them. Five among them are also treated at some length. Subrahmanya Bharati was a rare poet-patriot and linguist. He was a prodigious writer in Tamil and some prose-poems in English. He was quite proficient in Vedic and classical Sanskrit. His intuitive appreciation and original interpretation of the subtle truths and universal ideas enshrined in the Rg Veda, Upanishad, Bhagavad Gita, Itihasas, Yoga Sutras and Classical compositions of well known and less known poets, are evident in his Tamil renderings and critical commentaries of some of these texts. Dr. S.S. Janaki received her M. Litt. and Ph.D. at the University of Madras and D.Phil. from Oxford University. She has authored and edited more than 30 books and contributed about 125 articles in research journals in India and abroad. Has been associated with the Kuppuswami Sastri Research Institute, Samskrita Ranga and Samskrita Academy at Chennai for nearly three decades. She received the President’s Certificate of Honour for her services to Sanskrit Literature in 1992. I have great pleasure to present this volume of Golden Jubilee of India’s Independence Series of Rashrtiya Sanskrti Sansthan to our esteemed readers. Their Volume verity represents the goodwill and co-operation, the Sansthan has all along been receiving from the distinguished schools all over the country. The Sansthan was established in October, 1970 as an autonomous apex body under the Ministry of Human Resource Development, Govt. of India with a view to promoting, preserving and propagating Sanskrit learning in all its aspects, with special reference to the in-depth shastraic learning. A parts from conducting the regular course of studies at the various constituents Vidyapeethas, it has been bringing out invaluable publications representing dissemination of knowledge contained in the Shastras. Thanks to the continued help, encouragement and support form the Ministry of Human Resource Development, Govt. of India that the Sansthan has grown in leaps and bounds and has been able to render its services to promotion of Sanskrit learning at national and international levels. Sansthan has decided to bring out 50 scholarly monographs by eminent Sanskrit Scholars of different fields as part of the academic programmes organized to celebrate the Golden Jubilee of India’s Independence. The present volume Freedom fighter and Sanskrit literature with special reference of Mahatma Gandhi and Subrahmanya Bharati is a unique monograph which highlights the impress of Sanskrit Literature like the Vedas, Upanishads and Gita etc. on the around personality of two well known architects of freedom struggle, karma yogis, Mahatma Gandhi and Subrahmany Bharati. 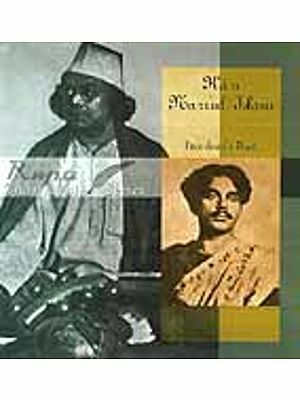 The book emphasizes the general contributions of Sanskrit to freedom struggle and national awareness. The Sansthan is highly grateful to the learned authors, recipient of President’s Certificate of Honour, Dr. S.S. Janaki, former Director of Kuppuswami Shastri Research Institute, Madras (Chennai) for contributing this monograph under the Golden Jubliee of India’s Independence Series. The services rendered by my colleagues specially by Dr. Savita Pathak and Dr. Viroopaksh V. Jaddipal deserve special appreciation who have worked day and night for planning and organizing the various programs connected with the Golden Jubliee Celebrations, particularly the publications of the Golden Jubilee Series. M/s R.G & Company deserve our thanks for bringing out this monograph on time. Countinuity and change have together been a hallmark in all areas of Indian culture. The adaption or revitalization of older concepts has been a regular process by which Indian culture has ensured it continuity. This is truly and significantly applicable to the growth and development of Sanskrit language and literature, both in India and outside during the last four thousand years or more. The antiquity of Sanskrit literature and the universal concepts embedded in its varied branches are well known. In addition, its continuity from Vedic to present times as a vehicles of expression for all types of contemporary life and thought is truly remarkable and needs to be brought our to a wider audience. So are the crucial ideas and concepts that are embodied in its vast range. This particularly rich Sanskrit material, with special reference to the 19th-20th century Indian freedom struggle and its main participants from different regions, was highlighted in the three seminars organized by the Rashtriya Sanskrit Samsthan at Guruvayur, Calcutta and New Delhi in March 1998. In the course of its long history, Sanskrit has put forth variegated, comprehensive and intense activity in almost all fields- literature and philosophy, art and science. Whatever the branch of literature, the Sanskrit authors and thinkers never lived in isolation. Rather, they moved with different nationalities at different times and interacted with them positively, while retaining their own individuality. Thus was initiated the varied influence on Indians of the Greeks and Roman in the early phase, followed by the Muslims and Europeans, especially the British. The Indian National Movement was truly a reawakening and fresh search for the spirit of India. With modern education and the intense cultivation of the critical spirit and study of Indian history, there was a fresh realization of the value of India’s heritage. Their patriots and the Sanskritists especially turned to the glory that was ancient India with a fervor which impelled them towards a renaissance. The higher spiritual values of Indian culture and the material nature or modern civilization, the growth of new fashions and foibles, the imitation of the West-all these produced a reversion and reassertion of the Indian spirit. The renaissance in India in the early nineteenth century started with a reinterpretation of our ancient cultural concepts as embedded in the Vedas, Itihas or Smritis, and literary works. It brought about a revolution in our social thinking and practices and blended with the national movement for independence. Various prolific and activities in all spheres-mental, intellectual, spiritual, etc.- characterized this important period, which produced great national heroes and freedom fighters like Mahatma Gandhi, Jawaharlal Nehru, Subrahmanya Bharati and Bala Gangadhara Tilak. Sanskrit is necessary for a full understanding of the political, social and economic developments in modern India as organized by these leaders. Truly, the heritage of Sanskrit has time and again pressed itself forward through these personalities. 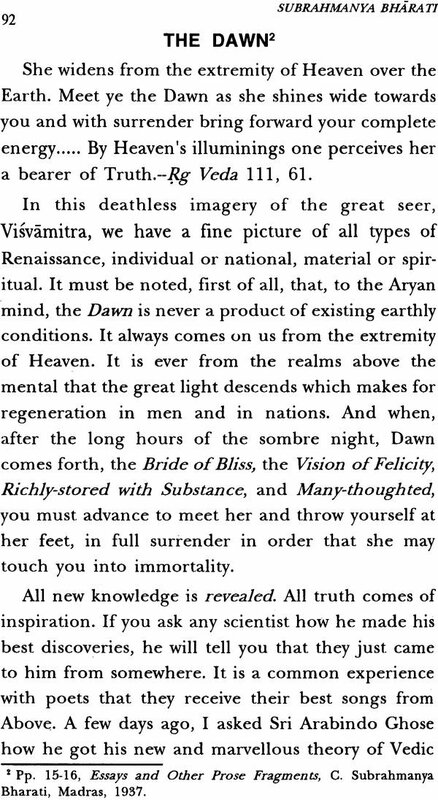 For instance, the humanism of Tagore is rooted in Upanishadic teachings. 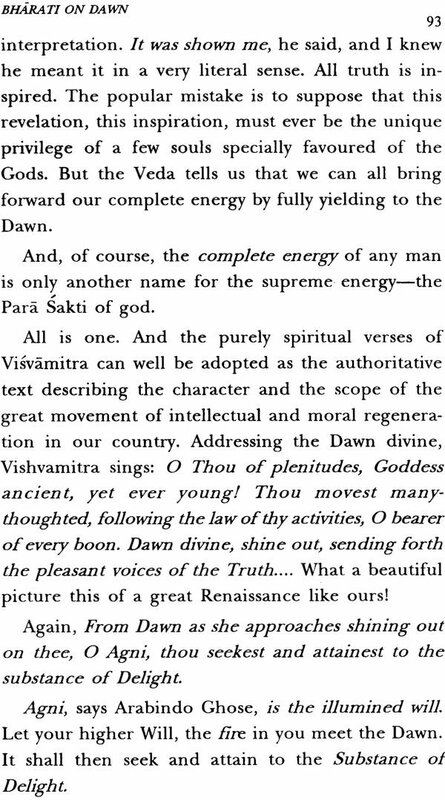 The Yoga and mysticism of Aurobindo are based on Tantra and the hymns of Vedic seers. Tilak’s Karma Yoga is an interpretation of The Bhagavad Gita. Gandhi’s Satyagraha, Ahimsa, Bhajana and Ram-nam, his pupil Vinoba Bhave’s Bhudanayajna and Pada-yatra, the rise of asramas and gurukulas- all these are the products of Sanskrit heritage. The Panca-sila and non-alignment of Jawaharlal Nehru are also the outcome of the heritage of tolerance, which is the most precious gift of the culture enshrined in Sanskrit literature. Subrahmanya Bharti, a Karma yogi, was well versed in Sanskrit and its wide-ranging literature. His prolific writings in Tamil and a few in English dazzle with crucial ideas from the Sanskrit scriptures. In the Seminars mentioned above, some participants stressed the need for studying critically the impress of Sanskrit literature on the life, chief principles and writings of the architects of the freedom struggle, and the Sanskrit writings on the patriots, wherever available. As such an analytical study has not been prepared until now, I have initiated it in this monograph with special reference to Mahatma Gandhi and Subrahmanya Bharati.